Pursuing genuine goods: How Far Can You Go To Protect Your Brand? Al Tamimi & Company successfully represented a multi-national tobacco brands owner before the Dubai Courts in one of the most controversial cases in recent years. The history of this case goes back to 2009 when the Al Tamimi & Company IP enforcement team received information in relation to a container imported into Dubai from Port Saeed in Egypt, through the Jabel Ali Free Zone Seaport. The container contained approximately 420 master cases of branded cigarettes for a line of products that was no longer manufactured by the client. In fact, the client stopped producing this brand of cigarettes as long back as 2003. After investigating the goods and conducting a forensic examination, it was confirmed that the imported products were genuine – but old – products produced and distributed by a licensed manufacturer. Based on this information, the Customs Authorities issued an administrative decision to release the shipment of cigarettes due to lack of power to sustain the seizure. However, the brand owner needed to prevent the sale of these old products in the market and therefore we moved to file an urgent application with Dubai Court for expedited matters seeking issuance of preliminary attachment order to seize and further inspect the goods. The application was based on the client’s interest to prevent trade in expired products carrying its trade marks and the protection of the health and safety of consumers as protected by both federal and Dubai laws. Therefore, the Dubai Court granted the ordered directing the Customs Authorities to maintain the detention of the goods for further inspection products. The case against the importer went through all levels of appeal up to the Court of Cassation and ultimately reversed to the Dubai Appeal Court for proceeding. In the end, the Appeal court issued a judgment to confiscate and destroy the products based on the interest of the client in preventing trade of products that lack of conformity conditions and the protection of consumers in the UAE. The court also ordered the owner of the imported goods to cover the court legal fees and ordered that its decision be published in one of the local newspapers (at the expenses of the owner of the imported goods). Simultaneously while pursuing the civil action, a criminal complaint was filed against the importer of the goods. Dubai public prosecution office accepted the complaint in formalities and interrogated the manager of the importing company for importing illegitimate goods to UAE Territory. Therefore, an accusation order was issued and the case was transferred to the criminal court for further proceedings. The Criminal Court found the accused (the manager of the importing company) guilty and issued a fine of AED 100,000.00 (USD 27,250.00) with seizure and destruction of goods. 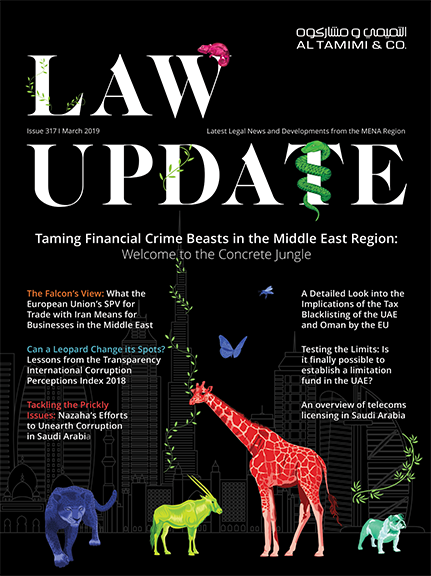 The case was appealed to the Dubai Criminal Court of Appeal, who affirmed the judgment of the lower court, but amended the fine to AED 50,000.00 (USD 13,625) in according to the discretion of appeal court to review the imposed fines. In addition to the civil and criminal proceedings, a complaint was also filed with the Dubai Municipality, the Public Health and Safety Department also issued a nominal administrative fine to the importer with order to seize and destruct the goods. In conclusion, the expired products were destroyed and the importer was found guilty of contravening the UAE’s laws in civil, criminal and administrative proceedings. What is of particular importance in this matter is that this matter establishes that trade mark owners remain entitled to defend the reputation and goodwill of their trade marks in cases where their required product standards are not maintained. The legal grounds used to pursue this matter were not the traditional trademark infringement grounds. Rather, this matter illustrates how important considerations such as for example product and label regulation, product standards and consumer protection can be in assuring the protection of valuable trade mark assets. This matter also illustrates how trade mark owners may address the unauthorized importation of genuine goods in circumstances where such goods may prejudice the relevant brands and importantly – consumers. We shall leverage this important precedent in order to assist our clients to protect their trade marks in the UAE, even in circumstances where the traditional rules of trade mark infringement do not apply.